Although none of his bullets struck his intended targets, police are on the lookout for a man who shot at a group in Beltsville, Md. early Tuesday morning. Police say the shooting was reported just after 1 a.m. in the 11400 block of Cherry Hill Road. 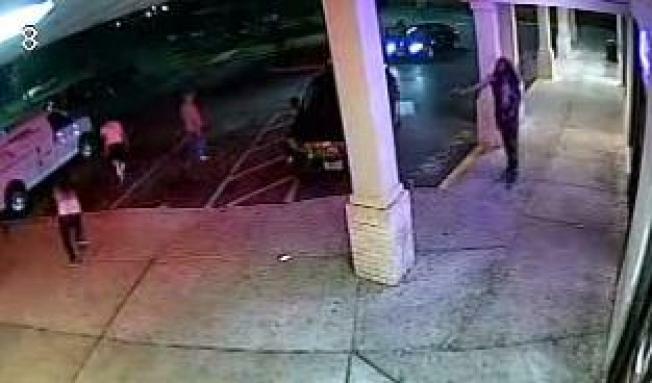 Surveillance video shows a man getting out of his car and shooting at a group of men standing outside a strip mall. No one was hurt, but police need the public's help identifying the suspect. If you have any information on the shooting, call police at 1-866-411-TIPS.